This tutorial will explain how to install classic gnome desktop in ubuntu 12.04.By default ubuntu 12.04 loads in to unity desktop some of the users didn't like unity desktop so they want to get back the old classic gnome desktop. I can’t get this to work on trusty. The icon next to the login I used to click on to choose window manager does nothing now… Anyone able to get this working on trusty (HP laptop)? 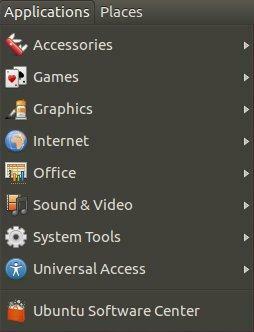 Hi, why doesn’t Ubuntu simply ask you during the install, whether you want a classic desktop or this new unity crap? It should be the user that decides, not Ubuntu. This is reminding all of us of the Windows and Apple’s way of doing things, they “force” you to do what “they” want. I thought Ubuntu Linux would want to accomadate the user? Just a sad comment on the way things are done these days I guess? It is not like Gnome Classic is totally removed. Ubuntu 12.04 includes for the first time a brand new interface, they want to set it as default for showing their progress. They need to improve features and graphic is a part of it. They certainly did. The best I can say about Unity is “Klutzy.” Not to mention a resource hog. Try the Mint Distro if you want Ubuntu without the defect.